Barack Obama’s candidacy and his speech on race in America have brought America’s original sin and subsequent racial issues back to the front of our collective conscience. This is good and healthy for America. Too many white Americans (myself included) have little idea of what is going on in the African American community, while assuming that since we in the Civil Rights Era there is no more work to do. In the very near future, my family will be moving to Cincinnati to plant a new church. Our desire is to begin a church that will specifically embody the gospel in its racial makeup. Is this possible? “No, it isn’t,” I have been told recently, because I’m white. A white person told me this. I also spoke with an African American pastor in Cincinnati, who told me “Yes, it is possible.” His reasoning? Because I’m white. How can my whiteness be a source of both credit and discredit to African Americans? This is just one example of the many inner struggles and complexities that the African American community faces. I cannot speak intelligently to these complexities because I’m just beginning to learn and listen. Any attempt to do so would further reveal my ignorance. I have italicized key sections that I found interesting. Cosby was born into a troubled home. 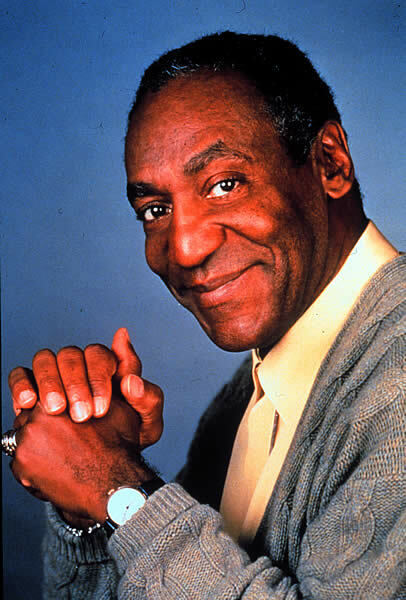 He was raised by his mother because his father, who joined the Navy, abandoned the family when Cosby was a child. Speaking to me of his youth, Cosby said, â€œPeople told me I was bright, but nobody stayed on me. My mother was too busy trying to feed and clothe us.â€ He was smart enough to be admitted to Central High School, a magnet school in Philadelphia, but transferred and then dropped out in 10th grade and followed his father into the service. Interesting topic. A few things come to mind after reading the article and your thoughts. 1. I think a lot of African-American’s beef with Cosby is not that he’s saying these things, but who he’s saying these things to and/ or who’s hearing them. In other words, a lot of people don’t like the fact that he’s having an “in-house” conversation with “company” around. For instance, if I confront my wife with a problem that we’re having and seek to resolve it privately, we may argue a bit, but it shouldn’t be too big of a deal. On the other hand, if I confront my wife while we’re sharing a meal with some friends or if I confront my wife in a way that others are going to hear it, I’ve only made problems worse. Some of what Cosby says is true, but he’s airing black folks dirty laundry in front of white folks and only giving unfriendly whites ammo to justify whatever negative beliefs they already hold. 2. While many African-Americans may agree with Cosby in as far as he goes, he loses credibility because his message appears to only blame African-Americans for their problems and doesn’t seem to take racism into account. Whether or not what is usually presented is his full message or only the juicy stuff is presented, I do not know. What is usually highlighted ends up looking like blaming the victim and the reduction of black folks wounds in this country as completely self inflicted. I believe some of what he says is true, but…it’s only partially true. The author makes a good connection in identifying Garvey, Malcolm X and the N.O.I. as conservative (at least in some respects), and brings to mind the fact that the things Cosby is preaching have been preached by others who’ve been considered more radical. A big difference is that Garvey, Malcolm and others called on black folks to come to complete responsibility for the African-American situation because of their complete lack of faith in white institutions and possibly white people as a whole. So, the so-called radicals preach social conservatism and are considered “down” because they completely disregard white society and call for complete self determination for black people whereas Cosby preaches social conservatism, but is not only open to white society in general, but he preaches against black practices in front of whites. Many people see this as an unforgivable betrayal. 3. I donâ€™t know if itâ€˜s possible â€œto begin a church that will specifically embody the gospel in its racial makeup,â€ but that doesnâ€™t mean you shouldnâ€™t try. I often debate with myself about modes of action that we can take along this line and I ultimately donâ€™t know if it can happen. I do believe that little things become big things and, though we may not bring about healing on a national level, we can promote healing in our spheres of influence. Being faithful over just personal relationships, even a few, can develop into something larger. To quote the great philosopher Chris Tucker, â€œyou gotta crawl before you can walk.â€ Youâ€™re on the right track. Perhaps I’m naive, but it seems that you’re too pessimistic about the chances of seeing a genuinely reconciled church. We don’t need to change the world (John Mayer). But I think that in a local community it can happen. I’m optimistic, because I am convinced that the gospel alone is powerful enough to heal these wounds. Don’t despair, my friend! We can’t change others, but if we live the gospel in our own lives, there’s hope. I’d agree with you that I am pessimistic, but I misstated what I meant. I’m pessimistic mostly about seeing racial problems in this country fixed on a large scale, but I believe it’s possible in a local body. I haven’t seen it done, honestly, but as you implied, we can be part of seeing the problems change on a smaller scale by living our lives according to the Gospel.